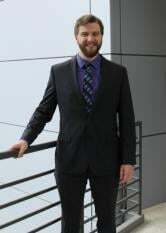 Physics alumnus Michael Adler (’14) is a recipient of the 2015 National Defense Science and Engineering Graduate (NDSEG) Fellowship. The fellowship is sponsored and funded by the Department of Defense (DoD) in order to increase the number of U.S. citizens and nationals trained in science and engineering disciplines of military importance. Now in the PhD program in aerospace engineering at the Ohio State University, Adler received the 2014 Ian W. Shepherd Award from the Department of Physics while at Michigan Tech.